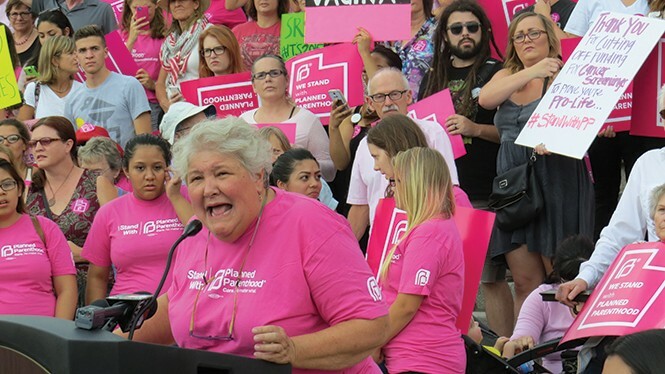 Karrie Galloway, president/CEO of Planned Parenthood Association of Utah, just received official word that the Utah Department of Health will not continue its contract with Planned Parenthood, effective Oct. 1, the start of the federal government's fiscal year. At risk is a fertility-protection program that diagnoses and treats chlamydia, and PREP, a program that teaches teens healthy sexual behavior that includes preventing teenage pregnancy (while teaching teens to be community leaders). In August, Gov. Gary Herbert announced he would defund the organization of federal pass-through grant dollars after a series of videos appeared online in July depicting Planned Parenthood medical staff (from outside of Utah) discussing fetal-tissue procurement with fake medical researchers. Galloway seems confident that funding for the programs will be found elsewhere. How will the loss of funding hit Planned Parenthood's budget? We'll be sharpening our pencils, for sure. We have done good fundraising, but you have to maintain that. We will figure it out. I haven't yet, but it's the beginning of the fiscal year. We don't break our commitment to the community. That's just how we roll here. How does Planned Parenthood plan to respond to the governor's action? Our reaction has been pretty clear, through the press, and directly to the public with our press conference [on Aug. 25] and a pretty substantial rally with a lot of Utahns backing us up that we are not pleased with his process of policy-making. We don't break our promises to the community. We will continue all the programs that the federal funding paid for, because we don't break our promises to the people of Utah. Planned Parenthood makes sure people are healthy, they can actualize their family planning decisions. We do everything we can, we raise our own money, we work with the federal government, and here, the governor, through allegations on a YouTube video that have not been substantiated, chose to cancel contracts for the people of Utah. That's the part I find arbitrary and capricious. How many Planned Parenthood clinics in Utah perform abortions? Only one does. We have always complied with the letter and the spirit of the law. We have passed every scheduled, as well as surprise, inspection [from the state licensing bureau], and we are very proud of the programs we offer. We offer comprehensive reproductive health care to the people of Utah in a compassionate and nonjudgmental way. Nobody is shamed for decisions they have made. We are committed to making sure that the letter and the spirit of the law are maintained, whether we agree with it or not. So the state was aware that clinics have been abiding by regulations? Yes. There have never been any problems with that. In fact, all of these laws that have been made over the years to make women jump through hoops to achieve their family-planning goals, the offenses have come from outside of Utah that have prompted them to enact these legislations. There have not been any infractions in Utah. This isn't a good way to do policy. What programs will change after the state cuts the funding? The chlamydia contract has been in place for over 10 years. And it's not just a loss to Planned Parenthood—it's a contract between the state lab, the state health department, and Planned Parenthood. We do over 17,000 STD tests a year that are sent to the state lab. What happens to the state lab if they don't get our business? We're still going to do it, but he's not just toying with our business model—he's toying with his own business model. There are other labs. 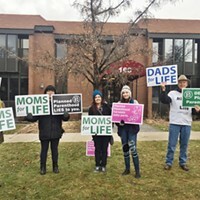 Anti-abortion protest at local Planned Parenthood clinic aims to cut its federal funding.